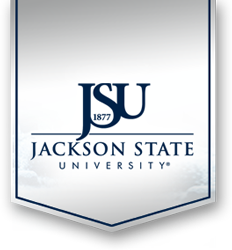 Current or former Jackson State University (JSU) students may order transcripts on-line via JSU PAWS. If you have a hold or financial obligation to the University, your transcript will not be released. To order an official transcript, Click Here to login to JSU PAWS. Enter your J number and PIN then press enter. If you do not know your PIN, click the button marked "Forgot PIN". Follow instructions to create a PIN to be used for this process and login to JSU PAWS. Select "Student & Financial Aid"
Select address where transcript should be delivered, then click "Continue"
Select transcript type (External), then click "Contineu"
Complete "Transcript Request Options", then click "Continue"
Complete "Payment Options", then click "Continue"
Enter credit card or debit card information, then click "Submit Payment"
If you experience any problem with this process, please call one of the following phone numbers: (601) 979-2804 or 2894. To order an official transcript, please fax request information to (601) 979-1861. You may also e-mail request information to: stephanie.a.stevens@jsums.edu. Request information should include: name, ssn, daytime phone number, date of birth, dates of attendance, degrees received, address where transcript is to be mailed and home address. To make payment by credit card or debit card for this request, complete the card information and submit payment. Payment must be completed before transcript can be processed. If you experience any problem with this process, please contact one of the two (2) phone numbers listed above. You may request an official transcript in person by completing a transcript request form in the Registrar’s office (2nd Floor B.F.Roberts Hall). Payment can be made with cash, check or credit card/debit card in the Financial Service office(2nd Floor B.F. Roberts Hall). All transcript request are processed within 3 business days of receiving request and cost $7.50 per copy. Faxed transcripts are $10.00 and considered unofficial and must be followed by an official copy. FERPA protects student rights regarding educational records maintained by educational institutions. In accordance with FERPA, JSU will not release transcript information regarding any student without the consent of the student.